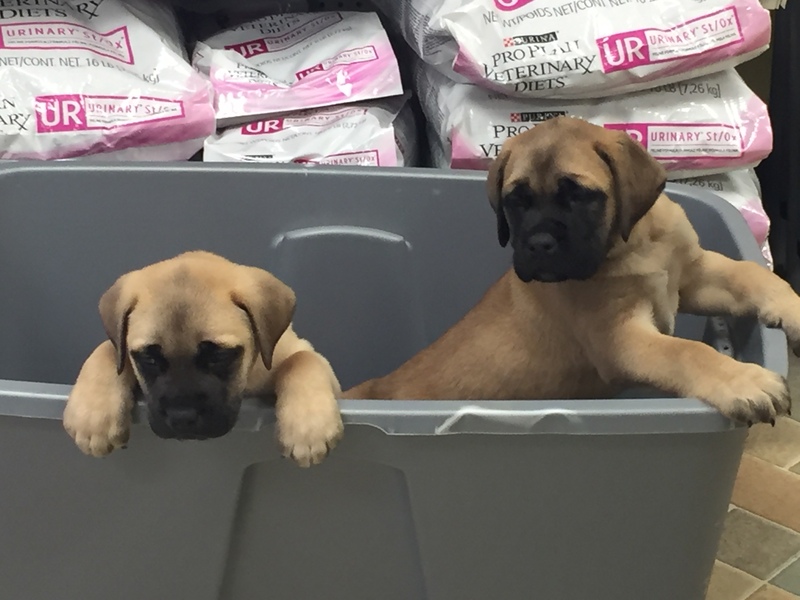 Puppies are always are favorite part of the day! 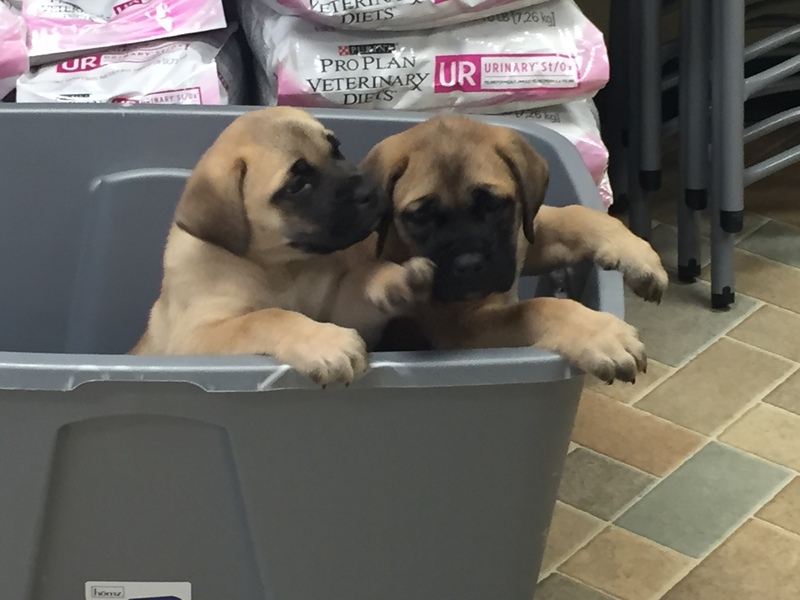 6 week old english mastiff puppies in for first shots and deworming. Still happy even after shots!